The roads aren't just occupied by motorcycles, cars and other motorised vehicles, they're also used by horses and their riders, and passing a horse isn't as simple as overtaking a car. Horses are big, powerful animals with 'flight' instincts. If they get spooked they can panic, hurting themselves and the rider in the process. In the last six years 2570 road accidents have been reported to the British Horse Society. 38 riders have been killed and 222 horses have died as a result of their injuries. 80% of the incidents were caused by vehicles passing too close to the horse. If you are approaching a horse from behind, hold back whilst getting enough information to pass safely. Do not get any closer than three car lengths and be careful not to creep into this space. Be prepared to slow down further or even stop to protect this space. Avoid sudden movements as horses may react. They can move incredibly quickly. Don’t spook them. Actions such as sounding your horn, revving your engine and playing loud music can spook the horse. Always drive gently and predictably. Remember there are three brains working, the driver’s, the rider’s and the horse’s. Make sure you give the rider enough space when passing them. We recommend at least a car’s width and make sure this is done slowly – remember always pass “slow and wide,” good advice is no more than 15mph. Often when you see horses riding two abreast it is for safety reasons, like an inexperienced rider or a nervous animal being coached along by a more experienced companion. Give them some consideration. Always accelerate gently once you have passed the horse. A rider and the horse may both be inexperienced and nervous in traffic. Richard said: "Dealing safely with horses is a classic example of where applying the rules of good driving helps us to share space safely. 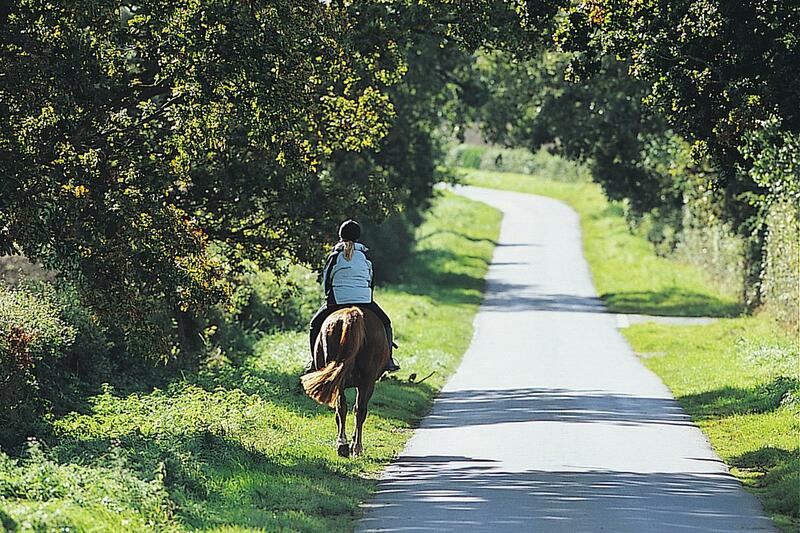 Use the information around you – road signs, horses in fields, horse muck on the road or signs to an equestrian centre are all clues to help you anticipate meeting riders on the road. Controlling your speed so that you can deal with the unexpected is very important in rural areas. After that be sensible and don’t get too close. ‘Wide and slow’ is the mantra."